Which Ones Actually Work...And Which Ones Gut Your Margins and Destroy Your Future? How and why the conventional wisdom falls short in B2B settings. The various pricing strategies that are presented as viable options. The pros and cons associated with each of these strategic choices. 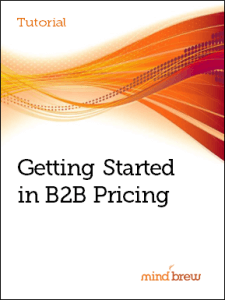 Innovative strategic options that are now available to B2B pricers. Are Revenue Management and Pricing Different? Some practitioners will use the terms "revenue management" and "pricing" interchangeably. In this expert interview, Amit Aggarwal, the Executive Vice President of Revenue Management at iHeartMedia, helps explain the differences and why they matter.